Can you provide a rating for United War Veterans Council? Recently my sister received a phone solicitation from United War Veterans (they neglected to add "of New York") who wanted to schedule clothing pick-up. Its website has drop-off locations for clothing all over NJ. It looks to me as if United War Veterans does nothing except organize a veterans parade in New York City which is heavily sponsored by large corporations, e.g. UHaul, HBO, etc. Their website says they are a 501(c)(19) organization. Does anyone rate 501(c)(19) organizations? By the way, the phone solicitor was calling my sister here in NJ from someplace out in the mid-west so I assume she was a telemarketer. I had my sister ask the solicitor for website and she was told unitedwarveterans.org. The "Who We Are" area gives no info other than a form to fill out the donor's own personal information. I think the phone solicitation is misleading as you think you are actually donating old clothes for redemption by an organization that will benefit veterans, not for use to throw a parade and nothing else. I and my extended family have been donating to Vietnam Veterans of America (mostly clothing contributions) for years. I don't see a rating for them anywhere online. Thank you for your question about United War Veterans Council (UWVC). Like you, we found very little information online about this organization, including on its own web site. According to nycservice.org, which was established by the Mayor's Office, UWVC was "chartered by the City of New York to produce the annual Veterans Day parade and other ceremonial events." As you mentioned, the United War Veterans Council is a tax-exempt organization under Section 501(c)(19) of the Internal Revenue Code. You can find the qualification requirements for tax-exempt veterans organizations at the IRS web site. We e-mailed UWVC requesting copies of their most recent Form 990 for review. We also asked if they use third-party fundraisers, and if so, what percentage of donations the fundraiser keeps. And we asked what is done with the clothing that is donated. When we receive a response from United War Veterans Council, we will update this page, so check back here in a few days. You can find our review of Vietnam Veterans of America by clicking the link. Readers, if you have any experience with United War Veterans Council, please click "post your own comments" below and let us know. Thanks to Frank (below) for reminding us that an update for UWVC was overdue. Although we never received a response from UWVC, as Frank points out, their tax returns for are available at GuideStar.org. Accounting expenses were allocated entirely to management & general expenses. Of the parade expenses, $84,385 was allocated to program services and $5,674 to management & general expenses. Transportation expenses went to program expenses, as did the reception and dinner. Telephone and meeting expenses were divided evenly between program svcs and mgmt & general, with the extra dollar going to M&G. The "other expenses" (no further information given) were allocated $3,245 to program services, and $4,519 to mgmt & general. The allocation of these expenses between program services and management and general seems reasonable. UWVC has liabilities of $35,800, an unpaid loan from Vietnam Veterans of America. There is no annual report available at GuideStar to provide more information, so we imagine the number shown for contributions is the net number left when the costs of collecting the clothing are subtracted from the expenses of collecting them. Accounting rules permit them to report this way. We'd like to see that information, because it shows how much is being paid to third-party groups to collect and sell the clothing, which we can’t tell from the way they reported the income. That can put a whole different perspective on the information. For example, they could have received millions of dollars in clothing, and paid millions to collect and re-sell it, leaving a net of $95,190, which would look very different. There’s just no way to know from the information available. I just read all the information, complaints, etc on UWVC. I had gotten a notice of pickup. I just threw it out. Reading how many give a receipt, pick up items that are not theirs to take, end up donating very little to the actual charity (veterans) WHY are they still in business? Are they "legal"thieves? It seems so. I don't bother with any of these. I want my donations to go where they actually HELP-not enrich the thieves actually allowed to get away w/stealing! This a huge scam !! I knew it was when they first called and asked a few questions! I'm a veteran and it find it disgusting they use the lie they are helping Veterans. This needs to be investigated and shut down and the scammers jailed! Who knows where this stuff REALLY goes and the money they collect ! Give to the Viet Nam vets they are for real !! I have donated for several years now, using their pick-up service here in NJ. The past year has been frustrating. UWVC uses the same pick-up service for the Lupus Foundation. The past four scheduled pick-ups for EACH charity was never picked up as scheduled. Each miss required about 4 phone calls and no one seems to know what is going on there. I have had 4 boxes outside my front door since Wed. night. They are still out there on Friday at noontime despite three phone calls. Are consumers being grifted and charities short shrift by thrift stores? Get a load of this recent story!! Thank you for sharing that article with our readers, Anon. Just wish to say your article is amazing. The clarity in your post is simply spectacular and I can assume you are an expert on this subject. I will grab your feed to keep updated with forthcoming posts. Thanks a million, and please continue the gratifying work. Thank you for those kind words, Anon. I'm glad you found it useful. DO NOT ANSWER THEIR SOLICITATION CALLS 888-821-8982. They are phonies! Like others I have requested they do not call, but they keep calling from time to time. Problem as I understand it with the national do not call registry is they don't block non profits. Whatever, these guys are full of crap. Why the AG office doesn't shut them down is beyond me. i will make my donations elsewhere. The answer to all the calls!! I have also received many calls and have asked them to please take us off their calling list. Then one day I gave in and had some clothing picked up. No receipt left for pick up. We have our regular charities we donate to. Now that we have donated, I'm expecting many more calls. I will ask them politely to no longer call... And when they call again because you know they will... I'll make an appointment for a pick up and not leave anything outside!! When they call back in reference to nothing left for pick up. I'll then tell them again to take us off their call list, maybe at that point they will stop calling. STOP WITH ALL YOUR PHONE CALLS. IT IS HARASSMENT. YOU WILL NOT GET ANYTHING FROM ME! Any organization that shows Unavailable on caller id and constantly calls will not get my donations. I don't care that charities are exempt from donotcall, to me, "do not call" means just that. do not call! I have a call blocker device on my landline and it blocks this number each and every time, doesn't ring in my home and yet, despite getting stopped immediately, they continue to call. There are complaints dating back to 2009 when I googled the number. They refuse to remove people from their list. I donate to two organizations that I call on my own and other than one calling to confirm a pickup, they have never called me once for a donation. If they are being paid to call, then it is no longer a charity call but a telemarketer call since they receive monies from each donation. As you correctly point out, charitable organizations are exempt from the requirements of the Do Not Call registry, and that includes telemarketers who call on their behalf. I calle the Donations Director, Deb Melnich, at (212) 838-8982, and she refused to sign the IRS required acknowledgement Form 8283 without any good reason. The organization has the pick up in their records and all that is required on the IRS form is to acknowledge that pick-up. MY wife ran a web-based women's clothing business in WA until we moved to the East Coast due to my job transfer (I work for the U.S. Army Corps of Engineers). We donated over 500 items of clothing that were still in the original packaging from the manufacturer, with a wholesale value of over $20,000, and a retail value over $90,000. You would think they would cooperate with someone who was so generous to their charity. I have to admit I am miffed, and will try to contact someone with higher authority than the Donations Director. It just seems so unfair for them to refuse to simply acknowledge our donation for IRS deduction purposes. I will never donate to their organization again, regardless of how much help they provide to our veterans. Has the scheduling website been hacked? I think that the online scheduling website has been hacked. Today I went to schedule a pick-up and someone else's information came up. I could see the address, telephone number and their donation receipts. Each time I tried to login in a different name appeared. Not good! Fix this! I know my $$ is NOT going to aid the UWVC OR the LUPUS Foundation, as the stores try to imply by signs & solicitations for donations. As a 51-yr-old & the youngest of 8 children, I was raised by my mother & father - a 24-yr active US Naval Veteran. My eldest 3 brothers served in the US Army during the Vietnam War; one in Vietnam (2 elective tours), one in Korea & the 3rd in Germany. Their children too have been & remain in service to our country in the US Armed Forces. One is a highly decorated USAF Captain, who first served as a US Marine. His father created is President /CO of a phenomenal resource management company which is contracted by not only private industry-but primarily by the US DoD, Dept of Homeland Security & many other Military & Defense branches of service & Gov't. We support our dedicated, brave, self-sacrificing service men, women & their families-We ARE they. Please consider your use of contracts with Savers/Val Vill & Unique Thrift as potentially undermining of our own strong voices & actions to keep the Honor, Value & Respect of those serving, having served or those who WILL serve at the pinnacle of transparency and highest regard. I would certainly continue to shop at any of those stores if they were very up front about their For-Profit status. However, there would be no chance I would consider donating to them. The manner & approach with which Apogee uses the Lupus Foundation & UWVC in the NY & NJ areas in order to solicit donations is certainly questionable. I do hope my words will be considered, as I know I am not alone in this view. As ever, my deepest respect & gratitude here - to ALL our honorific ServicePersons. THANK YOU! Actually, when I checked Guidestar, I found the New York City council raises millions and most of it goes to the parade. Their direct mailing costs are over a million dollars and fundraisers, telemarketers make hundreds of thousands of dollars according to Guidestar. Go on and look up the NYC Council and you will see. After checking on charitynavigator.com for rating status of this organization, I found no information whatsoever. Lack of transparency and non-filing charitable giving forms with proper agencies usually indicates questionable practices. Save your donations for another listed organization. I am on your website and trying to get a receipt for 10/13 pickup (no receipt is ever left in building front ofc. as I request & have made several calls to have one sent to me). I donate several times a year. You may put a receipt on my email..[deleted for privacy protection]. Thank you. Ms. Muhlstock, it seems you are addressing your remarks directly to UVWC. You would have to contact them directly as we have no way of doing so on your behalf. Thank you for your generosity on behalf of our veterans. United War Veterans Council -- the real deal or a fraud? I just Googled United War Veterans, and one of the hits was this web site. Thank God for you guys. I got an unsolicited call on 12-2-14 from a guy who asked if I had anything to donate for disabled vets. I asked him "like what?" He responded with a whole list of items they would take and schedule for pick up (he told me 12-15-14 without being able to specify a time, and he said the truck was coming from NYC and I'm in Central Jersey) and he ran off "clothing, books, dishes, small appliances, toys, shoes, magazines ...."
I asked him were they really distributing all of those sort of things to disabled vets and that's when the truth came out. He said they sell all of those items in stores called "Unique Thrift Stores". He said their offices are located at 342 Broadway, Suite 131, NYC. In fact, as I now recall, the disclosure of the stores came up when he gave me the Broadway address and I asked him how could they store all of their solicited goods in a suite on Broadway, that's when he said they put the stuff in stores and sell them. Now what's really interesting about all of that is how could they have real estate and employees working in their stores, driving trucks, and doing pick ups and none of those expenses are reflected in the cursory info that this site disclosed? What do they do with the sales income? Is it being reported? Are the stores part of United War Veterans, if not who are they and what arrangement do they have with United War Veterans? I hope the good people at this website will get we who love our vets some answers. Thank you in advance. The stores are not part of UWVC, they are an independent contractor to UWVC to pick up and resell the donated items. The sales income is reported, as is the cost of outsourcing the pickup and sales. I was scheduled for a pick up yesterday. I had everything outside and clearly tagged by 7:30 in the morning. No one ever showed up to collect the donation. If it is not picked up today I will find another organization to donate to in the future. I think the most troubling aspect of UWVC is their lack of transparency to all charity rating organizations. It makes me question what percentage of the money is being spent on parades or other programs. 1) I visited a UWVC thrift shop in Elizabeth, NJ, and was very impressed with the care that's given to the merchandise, not only in the display area, but also in the area where the clothing is delivered. 2) UWVC provides employment in their stores. I'm inclined to continue making donations while looking for an equally convenient and more transparent charity. I have been donating to UWVC for about five years. Never again. Two no-shows in one week. I booked a pickup (three weeks ago) for the 27th. I had the very large donation tagged and in my driveway ready to pick up by 8AM. They never showed up. I called yesterday, and I was told they would make an "emergency" pickup today. No-show again. Their excuse? "Sometimes the trucks get filled." Good. Then they don't need my stuff. Last week I made a reservation for a donation pickup. I left five boxes of items, which included a set of dishes, with no pick-up as of 9pm. I even called at 4pm and got a very vague answer as to whether they even had the reservation. Never again will I deal with this organization. I will contact lupus.org to donate. Much better response from them. I'm confused. I was under the impression that these items are GIVEN TO VETS AND THEIR FAMILIES, NOT SOLD. How are the vets who are not in positions to buy these items getting them? I could have given them to thrift shops myself. This is not fair for vets, so explain this. CB, this is actually a common practice, although it comes as a surprise to some donors. Like Goodwill, instead of passing the donated items to those who need help, the goods are sold at bargain basement prices, and the funds so generated are used to help those who need assistance. That's because it's "too hard" to match up the donated goods with those who might need them. 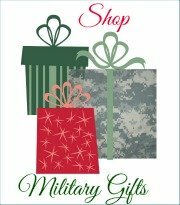 If you have usable goods that you want to go directly to a veteran in need, the best way to accomplish that would be to go to a local veterans support group and ask them to put you in touch with a military or veteran's family who could use them (or to give your contact information to that family). Then give the goods directly to that family. So, you know, I thought I'd donate my old TVs, seeing as their mailing says they'd accept it. They put me on hold for 30 minutes (and counting) and... well, I put them on hold right back using a third party service. These people don't seem legitimate. I doubt they're bombarded with calls. It's a common tactic called "keeping the customer in your grasp." I just gave them 5 bags of very good clothing, along with a bag of nearly new sheets and a box of dishes. My question is - will the vets receive those items and if not how can we go after that group and stop them? I only give for the vets, not those who rummage through the items and take them. This is very upsetting and I for one will contact all my Senators and Congressmen to look into that organization. Nancy, I think you just pointed out a common misperception about what happens with the donated goods. Many people assume that the goods they donate (used clothing, furnishings, etc.) will be given directly to veterans who may need them. Unfortunately, many of the organizations that receive donated items apparently sell them in bulk or offer them for sale in their own thrift shops to anyone who wishes to buy them (think Goodwill). Then the money that is generated by the sales goes to the designated cause (in this case, veterans). That's not what some donors intend. If you have good, serviceable items, and you want to make sure they go to a veteran, ask a local veterans group to help you find a local veteran to give them to directly. You may not get a tax deduction that way, but at least you'll know that your donated goods actually helped a grateful veteran. I scheduled a pick up for a Monday. The stuff was placed in the bag that was provided. I left it where I said I would, and when I returned home after work, I noticed my rubber tote (filled with my personal belongings) was missing. I immediately called and was asked a bunch of questions. I was assured that the driver would be tracked down, along with my bin. Well, the woman I spoke to never submitted any paper work. I had to call again by Friday of that week to follow up because NO ONE cared to get back to me. I was advised again that they will have that woman contact me. Now it is Monday, and I received a message at 6pm stating "We cannot locate your bin. I am sorry, but I am closing your case." Really???? How unprofessional. I called back and was told the woman never submitted paperwork to locate my missing bin and now it's been a week. Not one person could take responsibility for my things disappearing. It is unacceptable. I did right on my part and was treated like, "Oh well, Sorry." I want someone in charge to follow up. These things weren't just for the taking, nor garbage. The bin was NOT labeled to be picked up, and if someone did open it up.... they would've seen it was paperwork and not of any use to be donated. I am appalled that EVERYONE I spoke to passed the buck to someone else. Why not get on the phone and speak to the driver? Why not get on the phone and speak to the upper management at the facility that the donated stuff was dropped off to????? The current procedures and policies need to be re-evaluated and donors' property that was taken and not supposed to have been needs to be accounted for. I was also told that this happens at least 5 to 6 times a week!!!! SO..... THEN WHY NOT HAVE A PLACE SET ASIDE FOR THINGS THAT ARE QUESTIONABLE FOR DONATIONS, OR THAT WERE NOT CLEARLY LABELED FOR UWVC!! I can surely understand why you would be frustrated. Obviously, the driver just assumed that he was supposed to pick up everything there. Since this seems to happen frequently, your suggestion of a special place to set aside things obviously picked up in error makes good sense to us! I hope you get some follow-up, but I wouldn't count on it, unfortunately. Thank you for attempting to help our veterans. "For-profit thrift stores attract a growing following in N.J., but some question chain's methods"
In summary: Very little money goes where the donor thinks it's going. You can google for it since websites are not allows in comments section. Nicolas, thank you for your comment. Another reader cited the same article, and we included the link in his comments dated May 23. I decided to donate some stuff. Actually more than just 'some'. I left 300+ pounds of quality clothing and shoes. They hauled it all away but couldn't take the time to leave a receipt, which they told me they were going to do. I don't know if I'll deal with them again. Eric, we'd be annoyed, too. I recommend you give them a call and ask them to mail you a receipt. They should be able to verify that their truck made a stop at your house on your donation date. I’ve donated old working tools, unworn and used good clothing, appliances twice in the past two years here in New Jersey thinking it was going to a good cause. The beat up box truck that picked up the first donation was tagged for New York, and I helped a young guy who didn’t speak English load the truck, while another sat in the driver’s seat on his cell phone. I got the feeling that they or the outfit they worked for, were subcontracted by a questionable company based on my long experience in the construction industry. The recent second time they arrived much later than the scheduled time while I was gone. The phone solicitors seemed to be nice and possibly volunteers. I was unable to find them in the Better Business Bureau but found a news article and old information of them not filing as a charity with the IRS. I’ll leave a link to the article below. I’ll be donating to a charity where the generated revenue is directly aiding those it was intended to. Hope this helps others. Take Care. This organization, hiding behind an "unavailable" caller ID, has been calling me multiple times a day for the last few weeks. I am in NJ and recently scheduled a pickup of donated items for the Vietnam Veterans organization, which I have often done in the past. Clearly this United War Veterans Council is trying to "steal" donations from other, much more worthy organizations. They never leave a message, just hang up and call again and again. Any organization that is unwilling to identify itself with the proper caller ID is an organization I would never support. Our veterans deserve to be represented by honest, open, forthright organizations. This type of scam solicitation is despicable. I am a disabled vet with 25 years of service and when this organization keeps calling, I always ask what have they done in NJ to help anyone and I can never get an answer. They will say that they will get back to me but never do. Anytime an organization such as this calls, always verify what they have done and where does the money go. Once you get a verifiable answer then please donate. If you get no response that you can verify do not give anything to them, because I am certain someone up the line is becoming filthy rich scamming people. The phone number given was 888-821-8982. I will continue to donate clothing but only through organizations that are given a rating on Charity Navigator. The United War Veterans Council may be OK but not for me anymore. Hello. I just made a post the other day, and felt that you may find this information interesting too. This is regarding the legitimacy of UWVC's operations. There was a Vietnam memorial event held at the NYC Vietnam Veterans Plaza (see http://www.vietnamveteransplaza.com/ ). It seems that these repeat annually. A lot of various people and veterans organizations attended, including active duty personnel. One of the attendees of the event, a Gold Star Mother (seen here, in the middle: http://www.flickr.com/photos/unitedwarveterans/6867805498/in/set-72157629663779683/ ) ..I had the pleasure of meeting. I met her in Pat's office (the one I mentioned in my previous post), which helps affirm that UWVC is legitimately involved with other legitimate veterans organizations and events. This is a bit off-topic considering it isn't about UWVC's money matters, but I figured it would be useful since the main issue at hand here seems to be the legitimacy of UWVC. They definitely are legitimate, even though a brief look at them may smell fishy. The organization is legit. It takes your donations and sells them to retail sellers in the reinstate area. I was suspicious of them for many of the same reasons most posters on this site are, however, they do serve veterans and they take many items other organizations refuse. It's not ideal but, it is my choice to continue donating to them. I'd rather help a vet than some other charity that may be less honorable. Mr. Gaultieri thx for your efforts! Thanks, Ron for sharing your thoughts. It would be useful to compile a list of problems and issues that UWV could look at in order to improve their PR. The challenge would be to get this to Pat's attention, convincing him that this matters, and then actually for them to put the resources and know-how together to do something about it. As far as getting their attention, it would probably take something more than just an anonymous email. Perhaps being contacted by the leader of another veterans organization. As far as implementation… well, like I said, their resources are tight. If the right people happen to be at the rehab program, their abilities could be used to help with this when they volunteer. This would obviously take time and won't be a very reliable process. Thanks for sharing your view from the inside. I apologize that our comment software limits the length of your post - it's frustrating for me, and I'm sure it is for you, too. Your story sounds typical for many veterans charity organizations - run by volunteers without professional skills or experience at operating a non-profit. And as you point out, the problems seem to stem from lack of organization/experience and tight budgets rather than from malice of any sort or fraudulent intent. I'm glad to hear they were offering useful work for homeless veterans enrolled in the Samaritan Village Veterans Program. That's another service they provide for veterans, who sometime just need to feel they are making a contribution. It's too bad they take such a casual approach to the public's perception of the organization, as that could serve to generate more donations for them, if their programs and veterans assistance were better understood. Thanks for volunteering for our veterans, and for taking the time to post your comments. We appreciate you sharing your first-hand experience with UWVC. I am a former volunteer for the UWV. They operate in an office in downtown Manhattan (NY, NY), at 346 Broadway, Room 807, New York, NY 10013. The operation is run by Pat Gaultieri, and his primary assistant at the time was Clyde Hankerson. Pat was in touch with the leaders of various other veterans organizations and knew them on a first-name basis. This is also true for various companies that made contributions, including construction companies, etc. At the time, UWV was fed volunteers by the Samaritan Village Veterans Program (327 W 43rd St, New York, NY 10036 - 212-333-5445). This program is what's known as a TC (Therapeutic Community), which is a long-term residential drug and alcohol treatment program for homeless veterans. UWV worked specifically with the veterans program (Samaritan Village also serves non-veterans at their other locations). The volunteers would run errands, assist in organizing the parade, make and take phone calls, and anything else that Pat told them to do. They would typically be given $5 a day, sometimes more. This was to pay for transportation (even though the TC provided metrocards), and additionally to pay for lunch and whatnot. At the time, no one in the office had any real computer skills, which explains their very weak web presence and lack of replies to emails. They get quite a few e-mails, so it is very possible that numerous emails get lost. Pat was constantly busy on the phone, so getting a hold of him by a random anonymous person could be difficult to say the least. The environment was not professional, and all training, including how to deal with the phones, was very informal. This is also true for handling email. There was no real system in place for handling emails or escalating them up to Pat. It was all ad hoc and unprofessional/informal. Mostly due to lack of resources, disorganization, and ignorance. The office was a mess. As far as I can tell, none of it was due to malice. It seems that inquiries for information weren't dealt with very seriously, which this forum seems to reflect. The organization DOES support veterans, and is involved in a variety of veteran-supporting events. I have firsthand experience in this, so I can definitely say that it isn't a fraud. As far as details go, such as where money goes, etc., I really cannot answer. Today this "charity" picked up our donation. The truck that was used was from a trucking company called Apogee Trucking, which I assume was their contracted hauler. When I asked the truck driver where he dropped off his load, he became all defensive to a rather innocent question presented in a mild tone of voice. I then went back into the house and tried to get information on this charity. It appears this charity is a enigma wrapped in a mystery and covered with a blanket of silence. I called the number listed 212-693-80509 and could not be put in touch with a real live person. Just a request to leave a message. The fact that they are 501(c)(19) means little or next to nothing.They keep their finances in the dark and issue a financial statement that appears to convey little or no information. This will be the first and last time I donate to this group and I will go back to either giving to the Salvation Army or some other more reputable charity that does not raise these concerns. I received a pick-up bag from United War Veterans Council and was curious about who they were. Thanks to your efforts I found out that they were not the kind of charity that I would want to donate to. Not that they are totally dishonest, but they sure don't seem all that honest either. You're welcome, Chris. Thank you for your support of our veterans, and for taking the time to post your comments. You might consider United Veterans War Council to be a scam. Your used merchandise is collected and sold for a profit, and any charity involved, if any, receives a very small percentage. If you recently donated household items to the Lupus Foundation of America or the United War Veterans Council, it could you be your old stuff that...one of seven of the company’s thrift shops in New Jersey. Unique [Thrift Stores] is not a charity. It is a massive for-profit business that contracts with charities to pick up and buy their donated goods at bulk rates and keeps whatever it makes on resale, according to the company and the charities. As the above article states, if you are willing to donate merchandise, the true value of your donation goes to the needy if you donate to Goodwill or the Salvation Army. Please note that United War Veterans Council is not even listed in Charity Navigator. Hal, thank you for joining our conversation. The fact that a charity is not listed by Charity Navigator simply means that CN has not yet reviewed them, so that's not necessarily a negative. I believe we all want to do what we can to support our veterans, current military members, and their families. It would be a great thing if the volunteers could man the phones and drive the collection trucks to save on the costs involved in collecting our donations. In the meantime, this organization seems to be doing what it can to remember the sacrifices made for us by our military. I intend to give what I can and hope and pray for the best. I believe that UWVC is a legitimate organization. They are volunteers and they have a limited ability to develop an in house logistics apparatus to collect, sort and distribute donations, hence the need for a 3rd party to handle this part of the business. And lets face it labor, trucks, fuel, maintenance all add up to a big cost. So UWVC does what it can to provide a service to vets. I think they are legit and a worthy receiver of my unwanted goods. Give thanks and save the earth too! I was interested in everyone's input concerning UWVC. In these difficult economic times, every charity needs our support. The veteran's are in most need of our prayers, and to keep them in the forefront of our minds as long as they exist. We must never forget what they have sacrificed for our freedom and safety. If you are not comfortable with how this organization of mostly veteran volunteers salutes our military, there are many other legitimate charities to contribute to. I'm happy to give what my family no longer wants or needs. They are doing me and my community a great service by picking up the items so they don't end up in a garbage dump. If your belongings hold great value, research some local consignment shops. Bottom line...it's all for the good of others. We had a pick up for clothing on 11/3 & our house was broken into during the time frame that the truck came to our house & the time the mailman noticed our front door kicked in. Very odd that when we called the United War Vets Council to speak to the drivers, the truck came back with a supervisor following, 2 illegal immigrants with the driver & we were told that the truck was pulled over in the next town as a home robbery had occurred where the truck was. Very strange that our house was broken into & the truck just happened to be where there was another robbery. Of course, the drivers of the truck know you are not at home. I've read everything here and I just want to say... I'm amazed at how expensive a parade is. Cities charge fees and permits and policing. I know Paterson, NJ doesn't have many parades for that reason. I do feel Veterans should be acknowledged and a parade is a wonderful way to do it. Each time I clean out my house, I call a different charity to collect the items. I shop at the Salvation Army and Good Will stores whenever I pass their stores. UWVC called me, so I will go through my closets and put a bag or two out for them. Thanks for listening. I have been donating to the UWVC for almost a year. I have never received a telephone call or verbal request unless I request one as a reminder for a scheduled pick-up I have arranged. All I know is they came from New York during the largest snow storm we had and picked up my donation, which I think is pretty awesome. Donate or don't donate, but do what you can to help our military and their families. I have been putting items out every other month for UWVC since last year. I have also been doing the same for LUPUS. This past month of May I had one on the 19th and one on the 26th for each of them, rare for both in the same month. I realized it's the same truck picking up for both charities. These charities get pennies on the pound, no where near the value of what you donate. It's like the boxes at the supermarkets that popped up EVERYWHERE. The charity gets a donation. Schools run clothing drives as well and one school had a FULL Truck load of clothing, all wearable and earned about $250. This is a big business and the charities get little but they get something. The charities could not possibly collect, go through, store and sell as much as is being collected. So, it's big business for some, and small but some donations to the charities. I don't like it that I think I'm giving a $50 set of brass book ends thinking UWVC will sell them for say $15 or $20 but they get about 50 cents. But on the flip side, I would have to either throw stuff in the garbage or cart it away at my expense. So for some days it's a win-win situation. But these charity pickups are mostly 3rd parties that make money off of the name of the charity. By the way, the phone call solicitors from Diabetes and Cancer society are also 3rd parties that make almost 60% of what you give and the charity gets little in CASH. So if you give to them, find out if the caller is a 3rd Party telemarketer or a direct employee of the charity. Call the charity up yourself and send the donation directly then they get 100%. One last thing, the telemarketers calling for donations are NOT PROTECTED from the Do Not Call registry, only the employees of the charities are. Diabetes was calling me 4 times a day until I learned this part of the law and blasted the woman and finally it's been 2 weeks since my last call. IF ALL THE UVWC DOES IS RAISE MONEY TO PUT ON A PARADE FOR VETERANS,...WHY WOULD YOU OBJECT TO THAT? YOU DON'T WANT TO CELEBRATE OUR VETERANS AND TROOPS WHO KEEP AMERICA SAFE? WHY DOES UWVC HAVE TO DO ANYTHING ELSE, THAT SEEMS QUITE ENOUGH. HAVE YOU TRIED TO PUT ON A PARADE? THERE SEEMS NOT TO BE ANY NEED FOR FURTHER DISCUSSION. After reading this entire thread, I feel totally comfortable donating my books and records to UWVC. However, it turns out that it's not feasible at this point. I have about 1000 books and almost 5000 records (as of now and at least the same amount to donate a few months from now) and they require that everything be left outside for pickup (rain or shine). They told me that they cannot enter a house to pick up anything. I am not able to take all of books/records I have and carry them outside, which is why I can't donate to them at this time. I can tell from this thread that there are lots of generous people out there that give to charities, so I was wondering if anyone knows of any other veterans charities that might have the resources to meet my needs for help donating. Perhaps if you could post back and let us know where you live, someone might be able to make a better suggestion for you. Good point regarding the location - I guess that would have helped. The house is in Queens, New York. Thank you so much for taking time to create this website. I also appreciate the contributors and readers regarding the UWVC. As a result, I am motivated to first get more directly involved in supporting military families here in New Jersey. I would like to especially honor my Dad's service in Korea. In the meantime, I will support the New York parade, and donate. And I need to be more conscientious about the individual/family sacrifice that is, and has been, made for my freedom as a citizen of the United States. We can only do our best and keep giving to legitimate organizations but we cannot control everyone's actions. A hard thing to accept while true. Denise, thank you for taking the time to send us your comments. Comments like yours are the pay we get for the time and resources we donate to creating and maintaining this free web site where we try to raise awareness of the sacrifices made by our military families, and to provide resources to help them live a better quality of life. And thank you for resolving to become more involved. Our military families and veterans thank you. I've given to several organizations that have called or sent mail and this is the only one that took everything AND left a receipt. They aren't sending the goods overseas to sell to third world countries which is common for other groups, so I'll continue to leave items out for them. I love a good parade, having been in parades myself. This is the only group I have found that will take just about everything including books and magazines. After helping people move and taking their extra stuff, so it wouldn't end up in a trash can and landfill, I discovered that many local thrift shops wouldn't take clothes, books, stuffed animals, or furniture because they were full. Salvation Army wouldn't take furniture either. One very hot and humid day, after phoning a new thrift that said they would take all this stuff, I loaded up my car, drove in circles 'cause address not on door, found this new thrift. It was closed for lunch. I waited an hour in unshaded parking lot, had to help remove the items they would take and never got the promised tax receipt. I'm 70 years old and it's just too hard to load up my car, drag this stuff into the thrifts, knowing that I will find more bargains and bring more stuff home. UWVC is doing me a big favor by taking this salvaged stuff and things I no longer need. I'm telling all my friends to take advantage of this free service. Spoke with the pick up people and they told me the organization runs a thrift shop in NYC and what is not sold gets shipped overseas, South America. I, too, have been contacted by the United War Veterans Council of NY and donated many items to them last year. The drivers were friendly and courteous, and I was happy they took such a variety of items. Recently, they contacted me about another pickup, which I just postponed so I could do a little more research. While I had the young woman on the phone, I asked her what happens to the donations. I also told her that I had emailed info@unitedwarveterans.org about this but did not get a response. She was very polite and apologized for the non-response, stating that the donations are sold to thrift stores, and that 100% of the proceeds go to UWVC. I asked her which stores, and she said Unique Thrift Stores and Value Village, both of which I found online: http://uniquethriftstoremd.com/ and http://www.valuevillage.com/FAQs.aspx. These sites provide information about how the stores manage donations with their "nonprofit partners." http://www.uwvcpickup.org/gd.donations/default.aspx. The foundation site contact email has changed slightly to info2@unitedwarveterans.org (the "2" has been added). The phone number listed matches the one that today's caller gave me: 212-693-1476. I am wondering how diligently Military-Money-Matters.com followed up with UWVC? The email address has changed slightly, and I will try it again. But I was able to obtain information today by phone easily--it wasn't complete background, but I did receive answers to some of my questions. I have not yet tried calling the foundation headquarters number. We all should consider doing further investigation into the organizations we choose to support. Even if personal preference dictates donating to other charities that have more direct contact with recipients, I am comfortable donating to this organization in the absence of any truly negative information about them. Before I schedule another pickup, I will look into this further. But I strongly doubt that they are a "scam" group--and they accept many items that other charities may not, so this is preferable to having those items cluttering my garage. And even if "all" they do is organize veteran events, that is still a way to honor those who have served our country. Pamela, thank you for your comments. The other is that I need copies of their tax returns to review to find out where the money goes, and those can't be provided by phone. I don't get paid for providing the free information you find here. I do it as a labor of love to show my appreciation to the fine men and women who have chosen service to our nation, and their families. I do the best I can in the time I have available. IT AIN'T ALL ABOUT MONEY! Don't want to give money or old items for them to sell to raise operating cash? Then join them in visiting wounded soldiers in hospitals. I am a Vietnam Era Vet. I volunteered; I was not drafted. I have also volunteered my time in support of UWVC activities like the parade and the raising of Gold Star Christmas Trees in NYC's Vietnam Memorial Park in downtown Manhattan (Dec 2010). UWVC is chartered by the city to run the parade, so what? If you meet these guys in person, you find they too are Vets. Many volunteers; none are rich from their association with UWVC. The ones I met are good-hearted real ex-GIs who want to honor the service we all gave and many are giving now. When I was in the military, people would spit at us, yes Americans who didn't like what was happening in Vietnam. Very few soldiers back then liked what was going on either. Today, in teaching my son to be a good citizen and patriot, I am glad we have programs like a parade with all the excitement of marching bands and floats and military people marching. It is highly effective in bringing awareness to the population at large as to the sacrifices the volunteers in our armed forces make. Fathers and mothers who are separated from their families for long periods, and some who pay the ultimate price. To ask a HS student to come and march in a parade to commemorate these men and women is not mugging them! Separate the politics of war and the service men and women who are not permitted to pass moral judgments on military actions, but simply carry out their orders. If you want to know what goes on inside the UWVC then VOLUNTEER YOUR TIME! Thousands of other legit non-profits use for-profit telemarketing fund raising services. Of course there is a cost for this. So what? Are you ready to volunteer your time to do the soliciting for donations? This web site is a horror and disservice to our dead and wounded vets. The initial visit to this page immediately convinces you you've found a scam. For a web surfer the landing page "is the visit" and only what actually fits within the screen. Very few people will scroll and read months of threads. The "updates" are buried way deep, not at the top of the page. There you see only suspicion and conjecture. We first asked UWVC directly for information. Their refusal to respond suggests there may be something to hide. When readers ask questions about veterans charities, the question is published first. Anyone who is interested in the answer will read until they find it. As for this, "This web site is a horror and disservice to our dead and wounded vets," thousands of readers disagree. As a veteran, you should at least appreciate the amount of time this veteran spends, unpaid, to publish it. You have condemned an 800+-page site based on one page you read. Perhaps you should apply the same standard to yourself and have a look around the site. I appreciate the information that the others provided. I was just about to donate money to another veteran's organization and as I was checking on their reputation, I thought that maybe I should check on the UWVC since I had donated to them in the past. I assumed they were legitimate. When they first cold called my house, I was thrilled with what they would take and also that they picked up. The UWVC came when they said they would and picked up everything I gave them. I trust they are using the money from the sale of the donated items for veteran expenses and I hope that anyone that has more information will post it. PS- Here (from their website) is a listing of recent UWVC sponsored events. I cannot speak to UWVC but have read all of the comments. Stu's review does seem to support sufficient legitimacy to the organization. What I'd like to address is the Veteran's Day Parade. President Lincoln made a promise to all veterans: "To care for him who shall have borne the battle and for his widow and his orphan." Our nation's ability to keep that promise is directly tied to the understanding for each generation of how significant a contribution putting one's life at risk is and the debt we owe to those who do. In that regard, being reminded of the sacrifice and service of our veterans and military is a most laudable work. I too would certainly prefer that my donations went directly to veterans. But it may be unrealistic. This is a way to donate to an important parade and to care of national memorials. If that's not a good enough cause, there are plenty of other options. But for anyone who has visited a memorial, marched or watched a parade, that's enough. What would you do if a commercial "tour group" was selling patriotism (Veterans Day Parade) to high schools around the country and having high school musicians raise funds (car washes, candy bars, magazines, baby sitting etc.) for the benefit of that "tour groups" contracted hotels, restaurants, buses, boat trips etc...? Kids and band leaders are sold the idea that they will "honor service" by marching in the Veterans Day Parade. Unfortunately, their time and hard earned money would have been better spent helping a veteran in their own community or by raising awareness about the issues veterans face. These students need to understand that their patriotism does not need to be negotiated or defined by a "for profit" tour operator. If students are seeking a trip to New York City to see the greatest city in the world....let the reason for coming to NYC be honest and not veiled in patriotism. Do i listen to the angel or the devil on my shoulders? After reading all these comments from the beginning, I am still going to put the donation bag outside because I was most impressed by Stu's well-written and most informative post regarding the history of UWVC. I don't need these coats, someone else probably does and if it benefits veterans even slightly it is worth it. The fact that a third party is generating a portion of revenue is inevitable, and possibly deserved for the benefits to our vets. UWVC is an upstanding, longstanding group of Veterans who work second jobs to honor our Veterans. Not only do they put on a parade in NYC but they also are liaisons for many of our returning Veterans who are in need. Based on what I've read here, the UWVC isn't going to get anything from me. But what I object to most are the phone calls. I realize that as a charity, they are not required to abide by the government's do-not-call list, but isn't there some way I can get them to stop calling? Half the time there's nobody on the other end when I answer the phone. What a pain! Mike, you may be interested in this information on How to Stop Unwanted Charity Calls from Telemarketing Services. UWVC President Vince McGowan serves on the Advisory Board of a new group called VeteransAid, which is positioning itself as a sort of "United Way" for veterans charities. Also on the advisory board is Tom Scozzafava (do a search), CEO of corporate sponsor Sackets Harbor Brewing Company. Anything he is associated with is most likely NOT gonna turn out well. Here's one link, PLEASE do a search on Tom and then contact all parties involved to let them know what you found. STOP him before some Vets get gypped. As a participant in the NYC Veterans Day Parade and former volunteer with the UWVC for seven years 1995-2001, I can attest that the UWVC is real and worthy of your support. More importantly, your donations are not being wasted and no one is getting rich. The Council is made up of representatives from area Veterans Organizations (VFW, American Legion, VVA...). It has an all volunteer Board of Directors with a small paid staff (all Vets) that ramps up in October to produce the Parade. The 501-c-19 tax exempt status is an IRS code for Non-profit Military Service Organizations. You don't see much of the UWVC on the internet as it is a Council of representative from the Veterans Organizations that you do see on the Internet. The UWVC actually has three mandtes; produce traditional military ceremonies (of which the NYC Veterans Day Parade is the largest in America. And it costs money to do anything in NYC), Oversee the Maintenance of the Cities 300 War Memorials, and Advocate Veterans Issues (the City's Borden Avenue Veterans Residence (an exclusive shelter for Veterans) was a result of the efforts of the Council. In 1995 and 2000, the Department of Defense recognized the UWVC and the New York City Veterans Day Parade as the Official National Ceremony for the 50th Anniversay of WWII (1995) and Korea (2000). A bogus organization would not have survived the scurinty to be named National Events with the participation of 10,000 active duty troops (documented in the Nov. 12, 1995 New York Times and references the UWVC). The UWVC was founded in 1898 by Veterans from the Spanish American War, it faded a bit when the American Legion gained in numbers after WWII and took over the role of producing the New York City Veterans Day Parade. The Vietnam Veterans of America - Manhattan Chapter 126 then took over producing the Parade in the 1980s. In 1993 leaders from the various veterans organizations had a Parade meeting in the Mayor's Office of Veterans Affairs in NYC. The Mayor's Office had archives from previous Parades and the committee realized that veterans like them had been meeting prior to WWII for the same purpose and it was not new. The committee again formalized the group as the United War Veterans Council, just as the Spanish American War veterans had done, to continue the traditions. No one is getting rich at the UWVC. They are veterans looking after veterans and veterans' issues. The New York City Mayor's Office of Veterans Affairs can verify this information as the City donates office space to the UWVC. Stu, thank you for taking the time to add a first-hand perspective on UWVC. Documents tell only part of the story, and we appreciate having your personal insight from having worked with the group. With Veterans Day approaching tomorrow, we'd like to thank UWVC for its efforts in hosting the NYC Parade, and wish you clear skies and beautiful weather for the parade. I'm in the same boat as others here. Getting ready to make a donation and wanted to check on UWVC. I don't think the charity is "bull"...they are probably passionate about what they do. But after reading the article posted by Carol Mirek above, it seems that they only way that UWVC can accomplish its goals is to use a 3rd party for-profit thrift store chain to sell the things it collects. Unfortunately, the company that owns these thrift stores (a company called Apogee) makes a lot of money off of these donations...far more than UWVC does. I feel trapped since I really want to donate these things and want to help an organization that may need help, but I don't want to personally fund "Apogee." The other thing I'll say (being selfish here) is that UWVC makes it very, very easy to donate to them. I've had trouble finding charities that want certain things like household decor items, and some don't even want any more clothing. But UWVC takes most of these things with no scheduling hassles. So for me it is a balance of convenience with doing as much good as I can for the right organizations. I wish it was easier. I am scheduled for a pickup tomorrow. Instead of putting items out, I will print this entire thread and ask that they please contact military-money-matters.com with full disclosure of their finances. If they are legitimate and really looking to do worthwhile charity work, they obviously will do so. If not, I will post again in 1 week warning everyone. I'm moving and have LOTS of goods to get rid of, so I won't feel too bad if the end result is that they have to come again, but are able to gain the confidence of those visiting this site. Marking my calendar now. They have until 11/5 to come forth with information... parade or no parade. Bob, we thank you for your support, and appreciate your efforts. But in all fairness to UWVC, this is probably their busiest time of year, and I'm sure they're busily getting ready for NYC's Veterans Day Parade. Perhaps giving them a little more time after the parade is over would be appropriate. We look forward to their response. In the past, I have donated clothes, toys, books, shoes, etc., two times. But somehow I didn't feel right. Is this charity organization real? Or somebody using the name of "United War Veterans Council" and doing this business? I checked B.B.B. They cannot find United War Veterans Council. Anon, if you will read our review and the other comments here, you will find the answer to your questions. As for BBB, some charities choose not to be reviewed by BBB because of the hefty fee charged by BBB for the review and listing. Not being listed by BBB is not an indication that anything is amiss, so don't let that concern you. It's obvious this organization is BULL. Get back at these frauds, tell them to come to your house and put NOTHING out, make them waste their time and fuel so it becomes costly to them. We do not agree with this reader that UWVC is a fraud, and making them waste time and fuel only decreases the amount they have available to help veterans. Instead, see our suggestions to earlier comments. Glad I Actually Looked it Up. I too, got the postcard and plastic bag for pick up. It came at a convenient time, as I had just had a garage sale, and was left with a few items that I thought would benefit someone in need. I went on line to schedule a pick-up and was surprised at the lack of information. Which then lead me to this website. I will do as was suggested to a couple of people, and I will schedule the pick up, but only donate a few things. I will enclose a note asking for more info. or I won't donate again, and I will tell my friends and neighbors the same. Hopefully they will update their website with clearer info. There aren't many (except perhaps those picketing military funerals currently being reviewed by the Supreme court) who don't want to "honor our veterans". For Granny and others I would just suggest - ask one word - "HOW" are you honoring them. Words are cheap and easy. How exactly are those profits from that "nice clean" store being used? Scams are insidious and hide under the cover of patriotism or religion, and count on your emotions to overcome reason. If a "charity" spends 98% on "administration" and 2% on operations - it's a scam. There are plenty of true charity organizations whose money goes mostly into giving, not taking. Exactly as in politics, it's your choice whether to let the wool be pulled over your eyes, but it takes a little effort. Scammers count on your not wanting to put in the effort. Was researching a charity request made to my 90-ish mom (that turned out to be a not-recommended group) when I decided to look into the UWVC requests, which I get along with Lupus. Have never had a phone call from either, but am familiar with collection events that want good clothes, shoes, toys, etc, run by schools, churches, etc. I asked the church lady what is done with the items. She said the sponsoring group gets 10 cents/lb., and she bragged that they make over $400 each drive, so that's a LOT of donations. The items are sold in eastern Europe (black market?) and some given to the poor in Appalachia. Some events or collection sites stress the stuff is not made into rags and only want good items. In my rural area there are many thrift shops run by churches (mostly Methodist). Almost every town has at least one, not to mention for-profit consignment shops. Immigrant populations are huge supporters of these thrift shops, plus those who are finding money tight, or are just out for a bargain. I like the idea of keeping my donation local and support these. However, if you really like that the stuff will be picked up with no effort from you, then give to one of these pick-up groups. To me, UWVC sounds like a schlock operation. My used coat is worth more than 10 cents/lb.! Now that I've read through all the comments here, I will take the nice plastic bag I received from UWVC and deliver it and all the items in it to my local Salvation Army. My brother is a veteran, I strongly support ongoing recognition of veterans and I would be happy to contribute to a parade. However, the lack of information from this organization makes everything very questionable. Their yearly revenue, their operating expenses, their officers, should all be listed on their website. The world has changed - kind, well-intentioned people are not so easily preyed upon any more. Jennifer, thank you for your comments. We have now updated our report above, in response to Frank's earlier comment. Caller ID led me to this phone number (I didn't answer), which in turn led me to this discussion. As a rule, I don't contribute to charities I'm not well-acquainted with. I also shy away from donating clothing, ever since I learned that clothes are often sliced up into rags. Reading the commentary above only reinforced my suspicions, as did the dearth of information on the Council's web site. I did go one step further, because I thought it would provide damning evidence. I looked up the organization's Form 990 (tax-exempt return) with the IRS, using GuideStar. Although I'm not an accountant, it seems to me that the organization is legitimate. According to the returns for the three years available, its three to four officers took no salary. Their receipts (presumably from the sale of used clothing) were $60,150, $85,857 and $95,190 for 2006-2008. Their expenses were $58,553, $70,027 and $119,983. Thus, they came out ahead in two years ($1597 and $15,830) and sustained a loss in 2008 ($24,793). Taking the latest year (2008) expenses, the total of $119,983 was comprised of $105,565 for program (i.e., running the parade, bus rental, etc.) and $14,418 for management and general expenses. Only 12% of their income is spent on overhead. This does not strike me as excessive. I'm still disinclined to donate my clothing to UWVC; I can think of many ways that will help people in more substantial ways than by throwing a parade. However, my own suspicions about the organization have been allayed. Frank, thank you for reminding us that an update on this organization is overdue. As you pointed out, their tax returns are available at Guidestar.org. We have updated our comments at the top of the page. So I have given to UWVC and the lupus foundation in the past, but after reading this article I will no longer be giving to either of these charities. The amount of money the charities get from stuff we donate is very sad, and this big company that is held privately is making a huge amount of money from our donations. SAD, SAD, SAD! Please spread the word, and if you can recommend other places where my donations will be put to better use, please let me know. Thank you. I have given to the United War Veterans Council in the past but decided to look them up. Wow, I guess I wasn't aware of all the "lack of information"
I guess if they were above board they would certainly be open with information. __SMILE__ Think they are smart enough to read this site? The whole point is the concern that the goods you give them and that they get money for ends up mostly in someones wallet! You people just don't get it! If this Charity was above board they would be forthcoming with where the money goes. All legit charities are open and above board. Proven fact. The fact that they don't submit that information is a red flag that most of the money they get DOES NOT go for the charitable work they promote. So they sponsor a parade. Big deal! If 90 cents of every dollar they collect is for salaries then this is a bogus charity and you are supporting fraud! Len, we like to keep things friendly here, so I deleted your name-calling. I don't know where you got your information, but according to UWVC's tax return, it pays no salaries at all. Apparently, everyone who works for them is a volunteer. So your comments aren't really applicable with regard to UWVC, although there are some others who do pay exhorbitant salaries. I received a postcard/plastic bag for donations about a week ago. When I called the contact said, items are sold in bulk and donations used to fund veteran programs. No more details than that. Like others, I went to their website which offered little help. In spite of this, I scheduled a pickup for tomorrow for used business books (I didn't find any other agencies willing to take them); I printed out a note to include in the bag. I was under impression all non-profit agencies were required to submit annual reports? All non-profit organizations are required to file annual tax returns that show their activities for the year. Just a thought, as I've read the entire thread, and not a single post to this effect... I went on the better business bureau's website (bbb.org), and there in not a single mention of this charity. Questionable for sure. Check it out yourself. I will find a more reputable veteran's charity, as I believe strongly in our armed forces and veterans. You should be aware that the Better Business Bureau charges a handsome fee to review and list charities, so some charities choose not to spend donation money to pay the BBB to list them. Not being listed by BBB doesn't mean it's not a legitimate charity. You can check GuideStar.org, or CharityNavigator.org, although there is no one organization that has review of every charity. There are just too many. The IRS also publishes a list of approved charities on its web site, www.irs.gov. Received a call today from Cindy, who stated she was a telemarketeer being paid by numerous organizations, and representing UWVC on this call. I inquired as to what happens to the donated clothing. She stated they sell the clothing. I asked what the money from the sale was used for. She stated she didn't know-"it just helps veterans". I give to the DAV,VFW, VVA, local County and Town Clothing Drives because I know that good used clothing will be given away, not sold for operating expenses and staff salaries. I can just see that Cadillac Escalade pulling up to the Long Island Thrift Shop, the dark glass window in the rear going down, a puff of fine Cuban cigar smoke exiting the open window, and a guy in a plumed hat asking: "What's today's take ??" I kept her on the phone long enough to bring them up on the web and saw this site, so I decided to add my two cents. I've been giving to the VVA for many years, and know first hand that the VVA donations are put to excellent use. "Cindy" says the UWVC items go into a Thrift Shop for re-sale to help Vets. "How?" I inquired. There was a full minute of silence............. then a dial tone. I think this ranks with the million bucks the dead uncle I never knew living in Nigeria left me (in a suitcase........ it's always a suitcase), "if only I wire $25,000" to have it hand delivered by armed courier to my door. If they call - have them talk to your dog or parrot for a few minutes. Ask for a donation to your local house of worship and tell them the congregation are all veterans. Or ask them to sponsor a parade in your hometown. Support the Veterans and help others also. I have donated to the UWVC multiple times. I recently discovered where the donations go! Here on Long Island, NY, a store named Unique Boutique sells the items. There is everything, except food and grocery store items. The prices are very reasonable, jeans less than $10, mostly around $5, a book case $15, shoes $3, all kinds of electronics (didn't check the price), lots of baby stuff (also dctp), you get the idea. The merchandise was, for the most part, in great condition and the store is clean and organized. There are people that can help, just like a real department store. In a nutshell, I am proud to support an organization that supports the Veterans and also helps people that can't shop in full price department stores, yet like nice things. It's like getting 2-for-1. I was raised with Thrift Shop shopping and in recent years many organizations that collect donations are not pricing the items at prices that are affordable to the people who shop in Thrift Shops. These and a few other reasons (I could go on & on) are why I am honored to donate to the United War Veterans Council. Just have to share this one, A WEDDING DRESS, gorgeous, $25.00! Just think how many people received joy from that donation! I am really glad all these comments were posted. I hear about fake charities all the time and worry that what I give is going into a conman's pocket and not helping anyone. Knowing what they do eases my mind... so thanks everyone! "The UWVC works to ensure the public is constantly reminded of the sacrifice and service of our veterans and military. Our initiatives play a crucial role in achieving public support for the many important programs that benefit these men and women and their families." A bit of a repeat of what others have said, but I do think funding public remembrance of those who serve is a good thing! As a result of receiving a postcard, and a number of phone calls to them, I have just had a pick-up of my first donation to UWVC. I found that the answers to my questions were forthcoming (donations are made to thrift shops and proceeds are used to meet veterans' needs). My impression is that the UWVC is a well organized, professional and reliable group. I support their mission and will be making future donations not only to help their efforts but also because their pick-up is a valued and reliable service. I have clothes set aside to donate to UWVC but something told me to check them out. Went to their website and they gave no info on who they are. If they can't offer that, bells go off. So thank you all for your previous comments on this board, they were helpful. Donations to veterans is the way to go, IMO. Perhaps I'll contact my local VFW and see, personally, who can use some good clothing. I received a call from UWVC on Saturday for pick-up tomorrow (Tuesday). I actually have a few bags of clothes to donate, so I figured WHY NOT?! This morning I attempted to research UWVC and came up with no details except this site, so I called to cancel my pick-up. After waiting on hold for 10 minutes, someone picked up (888-821-8982). I asked them to cancel my order, then she became very short with me - not nasty, but short for sure. I will not be donating my items to them. I was just told they send the donations to retail locations to be sold. I don't mind supporting Veterans whether it's for a parade or medical bills or just to cheer them up by sending cards. Why can't we do all of these things? We just donated clothing, books, etc. to UWVC and they gave us a pamphlet with a link to their website. Hope this helps. About a month ago we got a call for donation from United War Veterans Council. We are donating our encyclopedia set for which we paid over $1500 in '86. In my heart, I understand that honoring the veterans with a parade costs money. When I started reading previous comments, I was almost ready to not put my donation near the curb for tomorrow's pickup. But when I think of how proud I am every time I see veterans marching in a parade, this is a small way on our part for their honor. If the UWVC is a fraud, hey, I sleep well at night knowing I did a good thing. If they're taking advantage of our hearts and good intent, well then it's on them. I do appreciate this website and I do intend on coming back to read more. Thank you. Dear Granny, thank you for those kind words, and for adding your comments to our discussion. You are correct -- putting on a parade does cost money, and there are costs to each group participating in a parade. We also agree with your sentiment that it is appropriate for us to honor our veterans in parades. I think some donors were just surprised to find out how their donations are being used. Apparently, some thought the used clothing they donated was going into a thrift shop where it would eventually go to a veteran in need. They were surprised to learn that the clothing was being sold in bulk, and the proceeds were being used to finance a parade. Either way, the decision whether to donate, and to whom, is yours. We are providing the information about various charities so you can make a more informed decision. Well here I am. Like everyone else I got a call asking for donations, and today I got a follow up white plastic bag in the mail asking again for clothing donations. Are these people naked or something? I don't know why they want my things so bad, anyone who fits in my clothes isn't starving!! I think I will pass them up and just give to the Salvation Army. who by the way also called today!! You may want to do what we've asked Janet and Barbara to do. If you don't put out anything, they won't get the message. But if you put out a bag for them to pick up, with only two or three things in it, along with a note explaining why you're not donating to them any more, we might be able to get them to understand that we DO care about what's being done with our donations, and how the money is being spent. See our response to Janet for suggested wording for your note. In yesterday's mail I received a card from this group encased in a cellophane wrapper along with a large white bag printed with the group's address, etc. The card gave no specific ways of helping veterans, nor did it mention how they used all the items they collect (give to veterans, sell to the needy and use money to help vets, or whatever). They said they would come pick up the filled bag, rain or shine, on May 11 -- or I could call to change the date. After checking various web sites I could come up with nothing other than they put on a parade in NYC. I will stick with the Salvation Army and Goodwill! Barbara, thanks for your comments. You might want to see our response to Janet a bit earlier in this thread, where we suggested that she put out a few items, along with a note to let the group know that you don't intend to donate again, and why. Maybe with enough pressure, we can convince them that people do want to know what they're doing with donations. There are so many red flags in this organization's solicitation. Doesn't provide information to this website, doesn't provide information to charity-watch organizations, doesn't provide any information on its OWN website. There are so many great veterans charities and thrift store organizations, why take a chance with these bozos? I received a call from UWVC and said it was ok for them to pick up a bag of clothing, but after not being able to find out any information, I will not put a bag out. "I and others who have donated clothing to you in the past would like to know more information about what is being done with the clothing you collect, what programs you support and what percentage of your revenues actually go to helping veterans. Military-Money-Matters.com has requested that information from United War Veterans Council but has received no response. Until a response is provided, we will not be making any further donations, and we will be advising our friends and neighbors to do the same." Maybe that would help them "get the message" that donors ARE interested in what is being done with their donations, and if they're not willing to answer those questions, their donations will take a nosedive. got a " call " last night and Hung Up .... got another call this morning , WHO ARE THESE PEOPLE? and what do they supposedly do with the clothes. Joe, thank you for your inquiry. Unfortunately, we still have not received any response from United War Veterans Council, so we cannot answer your question. Perhaps you can ask it when they call the next time, and let us know what kind of response you get. 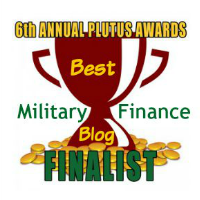 Thank you for your interest in helping our nation's veterans and your interest in Military-Money-Matters.com. Do you have any update regarding the UWVC of NY? I've arranged for their curbside pick up of clothing and household items two times now, and after reading your article on veterans charities, now I'm uncertain if I should do so again. If all they (UWVC) do is plan an annual parade, then I doubt we'll donate any more items. I'd rather they go to Salvation Army or Goodwill. Karen, thank you for your interest. Unfortunately, we have not yet received any response from UWVC. We'll post it as soon as we receive something, so please bookmark this page and keep checking for updates.